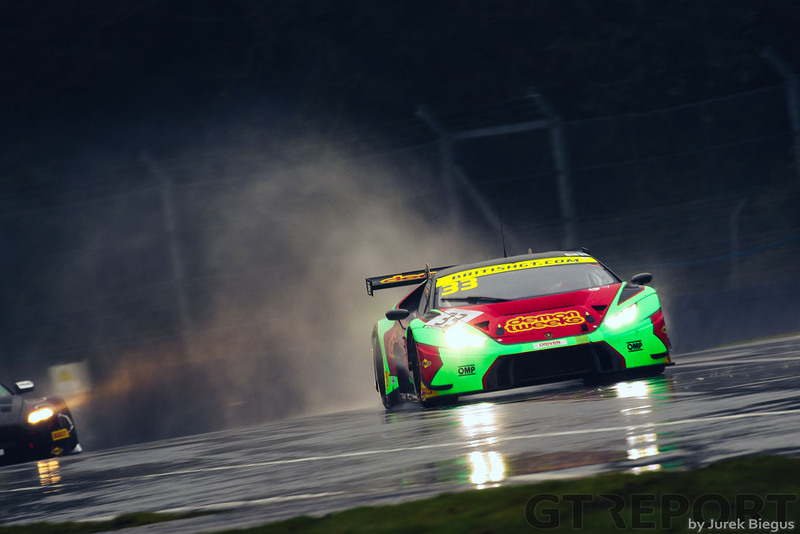 The British GT Championship made an action-packed return to Oulton Park as Flick Haigh became the first woman to claim overall pole, and then an overall victory, and the second race was cancelled after Noah’s Ark-like levels of rain flooded parts of the track. In a way, the cancellation will be a mixed blessing to two of the teams that set out their stalls as ones to watch this season but for different reasons. Barwell Motorsport’s pairing of Phil Keen and Jon Minshaw showed why they are always title contenders as a storming charge from the duo in race one was only stopped as Keen tried to squeeze through a too small gap passing a Team HARD Ginetta and promptly broke the Lamborghini Huracán’s front wheel. That incident, which saw them relegated to fourth after a second pitstop, had gotten Keen’s adrenaline going for what was set to be an exciting second race but four laps behind the safety car was more than enough for the race director to call the race to a very premature end with drivers – including Rick Parfitt – praising the decision. Sadly though, it denied the thousands of fans lining the British circuit the chance to see what could have been a classic British GT race. 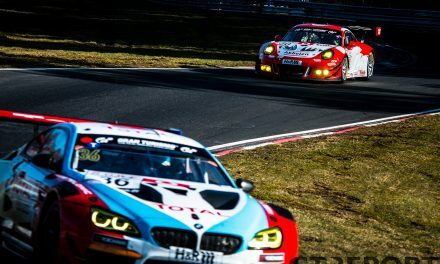 Optimum Motorsport might have been secretly pleased by the cancellation – not that they would ever admit it. 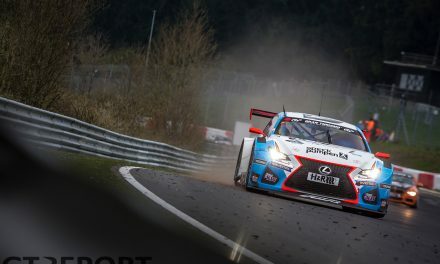 After claiming an historic victory – featuring a typically reliable Jonny Adam stint to ensure Darren Turner and Yelmer Buurman couldn’t close up to him – things turned on their head somewhat as Adam aquaplaned into the barriers on his way to the grid for race two as he looked to overtake a GT4 car and hit a puddle. Going straight to the pits to fix the rear suspension, the 2017 Le Mans 24 Hours winner came out of the garage just as the race was red flagged. Taking a place at the back of the grid, it looked like it could have been an hour long struggle for the Aston Martin racer if the race had gone ahead. What hasn’t been settled though, is what is happening with the race. There is talk that championship points will be awarded, with the decision going to the championship stewards for a final decision. 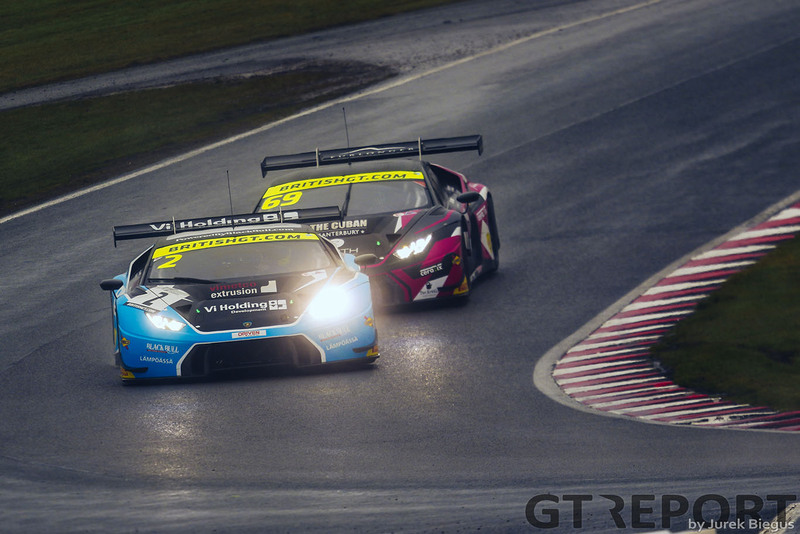 That would mean Keen & Minshaw get awarded victory in GT3 and the lead of the championship in the weeks leading up to the second round of the season at Rockingham. Thankfully for everyone at Oulton Park, the first race was filled with so much action it was hard to believe it was only an hour long. Starting under the safety car because of the rain, Haigh made a lightning getaway when the race went green with Parfitt – who had complained about the Bentley Continental‘s performance in wet weather – looking like he was stood still. Minshaw however, was almost the opposite as he climbed up from seventh – via a first corner barging match with TF Sport’s Mark Farmer which saw the latter spin onto the grass at pit exit – to second in no time at all and set about closing down Haigh’s 6.7s gap at the head of the field. He got close to overhauling Haigh, but the Optimum racer pitted almost as soon as the pit window opened with 35 minutes to go on the clock. Minshaw elected to hand the Lamborghini over to Keen a lap later, but Adam’s out-lap meant Keen came out just behind in second place. 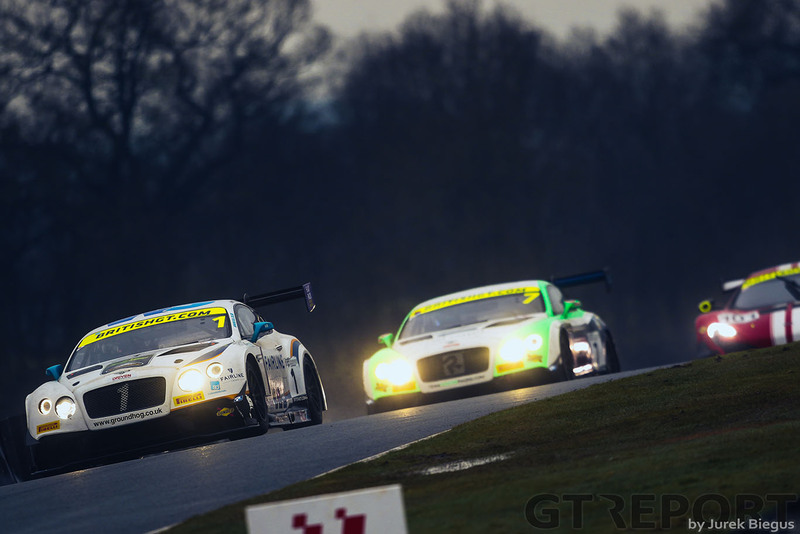 It looked like a titanic struggle was about to unfold with Keen getting under the rear wing of the Aston at many points until he tried to pass Callum Hawkins-Row’s Ginetta going into Druids. Adam had got past fine, but Hawkins-Row ever so slightly moved back onto the racing line and through no fault of his own clipped the Lamborghini. 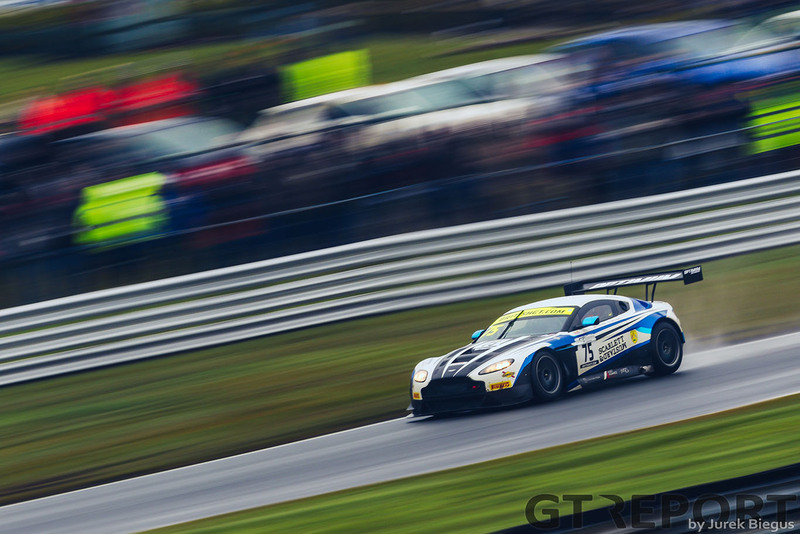 The resulting pitstop allowed Darren Turner in the Beechdean Aston Martin and Yelmer Buurman in the ERC Sport Mercedes-AMG GT3 to claim spots on the podium. Buurman though wasn’t happy to stay in third and as the race wound down to the chequered flag the Dutchman was flying. 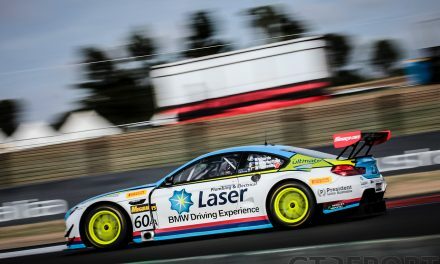 He looked like he’d soon be past the Vantage but he didn’t count on Turner’s determination – in what was surprisingly just his second British GT race – and the pair didn’t swap positions despite Buurman pulling alongside going into the final corner. Behind fourth-placed Keen was the sister Barwell Lamborghini of Leo Machitski and Patrick Kujala. Machitski was having quite a battle with Sam De Haan in the third Barwell car with De Haan not showing any rookie nerves as he jostled the Russian in the early stages. Ultimately though Kujala held off De Haan’s team-mate Jonny Cocker and the pair came home fifth and sixth respectively. Seventh place went to Callum Macleod & Ian Loggie as the pair coped with the conditions well to finish top of the Team Parker Racing cars with Rob Bell and Shaun Balfe just behind as the pair recovered from a blown turbo which wrecked their qualifying. If GT3 was intense, GT4 was even more so as Track-Club repeated their race one victory from last season as Adam Balon and new team-mate Ben Barnicoat – who had never raced at Oulton Park prior to this weekend – put in what has to be the best out-lap in their McLaren 570S to leap past the Century Motorsport BMW M4 GT4 and the HHC Motorsport Ginetta G55 which were both battling for the lead in the opening stint. What makes Track-Club’s win even more remarkable was the fact that an ECU issue in testing on Friday led to the team having to use a brand new McLaren for practice, qualifying and the race. 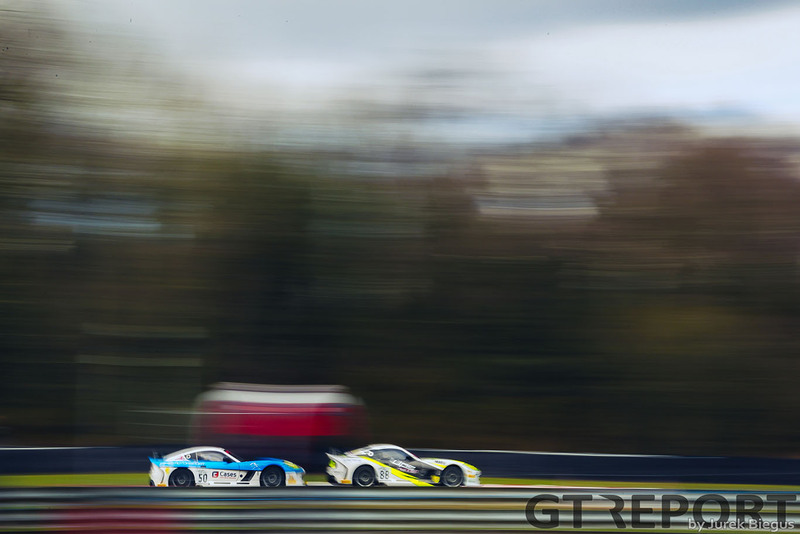 In the early stages, Callum Pointon held a handy lead over Ben Green with the Ginetta doing better around the dips and climbs of Oulton with the Tolman Motorsport McLarens squabbling over third. 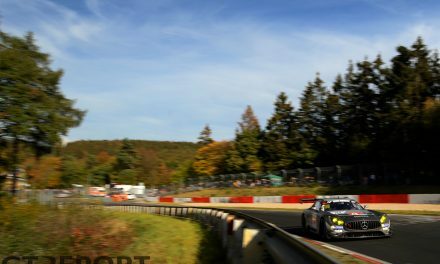 However, come the pitstops and that all changed as a time penalty for all-Silver pairings benefitted Pro/Ams like track-club and shuffled the order entirely. At the flag, it was Ben Tuck in the Century BMW who finished second on the road but a penalty for a short pitstop pushed the pair off the podium and allowed McLaren Juniors Charlie Fagg & Michael O’Brien to claim a one-two with the second Century BMW of Ricky Collard and Jack Mitchell claiming third.